The work of David Bien, one of America’s foremost historians of eighteenth-century France, transformed our understanding of the ancien régime and the origins of the French Revolution. The editors bring together for the first time his most important articles, other previously unpublished essays and an interview transcript. Bien’s empirically-grounded approach made him a central figure in the ‘revisionist’ debates on the origins of the French Revolution. His re-reading of the Calas affair as an anomaly in a growing trend of tolerance (rather than a sign of widespread bigotry among an entire class of magistrates) opened up significant new insights into the history of religious persecution, long influenced by Voltaire. Bien’s ground-breaking research on the army and the sale of offices revealed the surprising extent of social mobility at the time and challenged the prevailing orthodoxy that it was frustration of the bourgeoisie which contributed to the outbreak of the Revolution. With a preface by Keith Baker and an introduction by Michael Christofferson, Interpreting the ‘ancien régime’underlines the seminal importance of David Bien’s work for contemporary debates about the social and political history of late-eighteenth-century France. It will be an indispensible resource for historians and historiographers alike. ‘Most brilliantly on display in Bien’s essays is the quality of his peculiar forte: namely that of seeing the problematical behind the apparently obvious and espying questions where people had earlier seen only answers’. 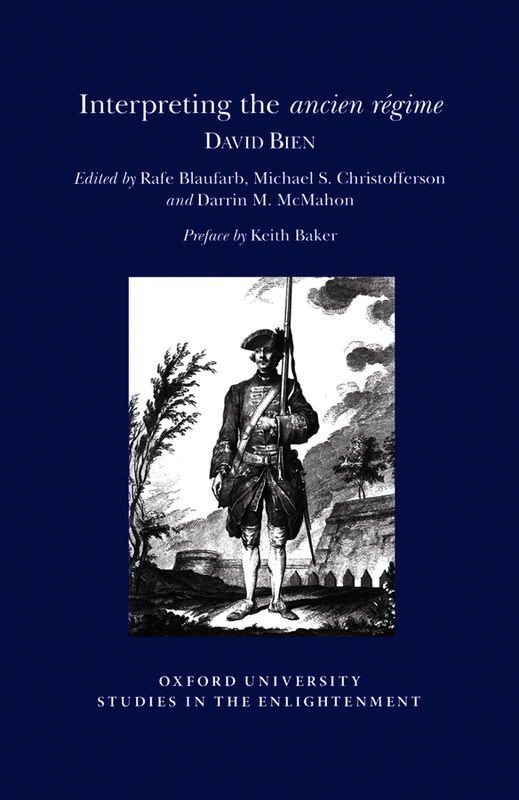 ‘David Bien was without doubt one of the greatest historians of eighteenth-century France, and we are indebted to the editors for bringing some of his best work together in a single volume’.